SANTA CLARA, Calif., Oct 04, 2011 (BUSINESS WIRE) — MoSys (NASDAQ: MOSY), a leading provider of serial chip-to-chip communications solutions that deliver unparalleled bandwidth performance for next generation networking systems and advanced system-on-chip (SoC) designs, has successfully demonstrated interoperability of its Bandwidth Engine® IC with the SerDes characterization and evaluation board from Avago Technologies. MoSys’ Bandwidth Engine SerDes is compatible with the OIF CEI-11 specification allowing it to interface with high-performance network processing ASICs such as those available from Avago Technologies. 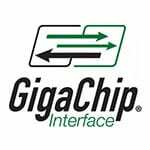 The GigaChip(TM) Interface used by the Bandwidth Engine IC is a 90% efficient, no-cost, open transport protocol optimized for chip to chip communications. This demonstration shows the Bandwidth Engine IC communicating with the Avago SerDes at a full 10.3125 Gbps. The demonstration video can be found at: http://www.youtube.com/watch?v=xo6qn9-JQ9k. Avago Technologies is a leading supplier of analog interface components for communications, industrial and consumer applications. By leveraging its core competencies in III-V compound and silicon semiconductor design and processing, the company provides an extensive range of analog, mixed signal and optoelectronics components and subsystems to approximately 40,000 end customers. Backed by strong customer service support, the company’s products serve four diverse end markets: wireless communications, wired infrastructure, industrial and automotive electronics, and consumer and computing peripherals. Avago has a global employee presence and heritage of technical innovation dating back nearly 50 years to its Hewlett-Packard roots. Information about Avago is available on the Web at http://www.avagotech.com.